You can design and make your own t-shirt using a permanent waterproof marker. It is such fun and quite easy to do. Practice on a scrap of t-shirt material first, until you get the hang of it. I wanted to give my husband a gift for our 'Cotton' wedding anniversary a couple of years ago. I didn't think he would appreciate new cotton bed linen (as much as I would) so I chose to make him a personalised t-shirt instead. I bought a plain, good quality, cotton t-shirt in a colour I thought he'd like. He is a photographer and loves cameras so I found a photo on the Internet of a Nikon FM2. 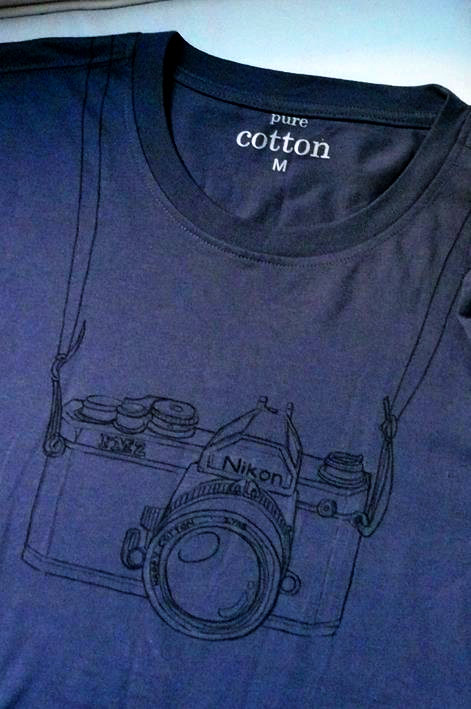 I started by drawing a picture of the camera onto the t-shirt using a white fabric marking pencil. I then did the final illustration using black permanent Artline markers, one with a superfine point and one slightly fatter one. 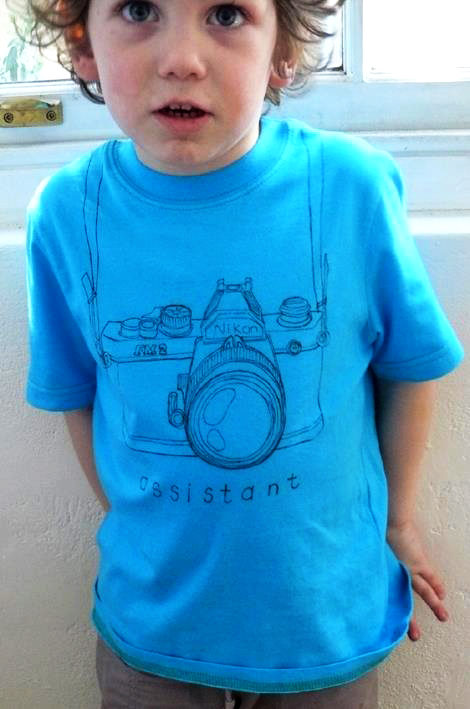 For our son.... his little 'assistant'.